The 6th International festival of high school theatre Juventafest was opened with the musical „A Midsummer Night’s Dream“. The audience was eagerly awaiting the appearance of the Slovenian high school students announced by the Juventafest director Jasna Diklić. Dear boys and girls, participants of Juventafest, your affinities are different, but I am sure that the decision to engage in theatre gives you a particular satisfaction. Acting is a very complicated creative attempt to identify with the characters that we play and that is why it is possible on stage, when the lights turn on, to create a world that sometimes reflects the other great world and its cruelty. The artist has the right to seek, to listen, to persistently work through self-questioning in theatre. There has to be a talent made of truth, and the truth is in firmness, essence, human courage, tenderness. Go to theatre, because it can help you change yourself. Theatre has the power to create a unique atmosphere in which you can face yourself. You can recognize your weaknesses and improve self-image. 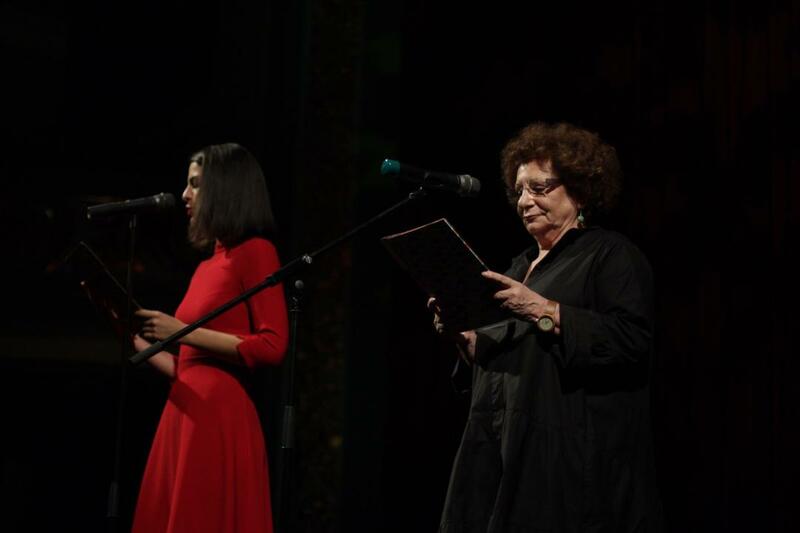 It gives you the ability to create a fictional space, which is also the space of freedom – said Diklić in her introductory speech and declared this year’s Juventafest officially open. The musical „A Midsummer Night’s Dream“ based on the William Shakespeare text, directed by Matjaž Latin, is performed by 50 fantastic high school students of the Second Gymnasium Maribor, who are, like other participants, in the race for the the Grand Prix of this year’s Juventafest and the Special jury prize. It is an extraordinary 130-minute play in English, featuring brilliant singing and dancing scenes. The opening of the Festival was followed by the opening of the exhibition of poster proposals by the students of the Academy of Fine Arts, Department of Graphic Design, Gallery of the Academy of Fine Arts. The 6th International festival of high school theatre Juventafest will host almost 150 young theatre creators from Bosnia and Herzegovina, Croatia, Serbia, Slovenia, Czech Republic until the festival is closed on September 17. The audience will be able to see six high school plays that were carefully selected from dozens of applications by the selector of the programme Asja Krsmanović . On the second day of the Festival, the guest play „Low fat life“ by the Elementary Art school Louny, Czech Republic, will be on stage, which will be performed at 5pm at the Center for culture and youth in Municipality of Centar Sarajevo, OU Jelićeva and the play “Only a dream” by Zagreb Youth Theatre which is in the program of Sarajevo Youth Theatre, starting at 8 pm. We remind you that the entrance to all plays within Juventafest is free. Also, on the second day of the Festival, a series of unique workshops will begin for young activists and professors, who will try to influence the improvement of their local community through workshops and roundtables. Liudmila Katsero on WINNERS OF THE FOURTH JUVENTAFEST HAVE BEEN ANNOUNCED!